While the phrase “school portal” may sound as dated as “information superhighway,” in fact the idea is finally becoming an effective solution for schools. 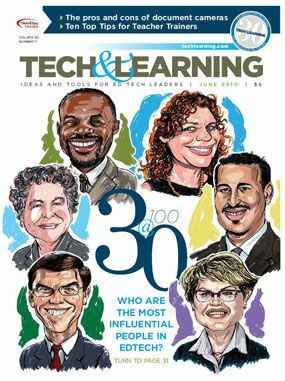 As part of our 30th-anniversary celebration, Tech&Learning continues to compile a compendium of the most influential people affecting the advancement of technology in education. Our second group of honorees is plucked from the present: today’s leaders who are changing the landscape of edtech through innovation and vision. Whether instructors face the challenge of teaching efficiently and effectively, have to define student needs and placement, or must spend more time correcting behavior than teaching, assessment tech can be a useful tool to finding success. Teachers at these schools say document cameras change the way they teach. Learn how these relatively inexpensive devices help manage the classroom and keep students engaged, which ultimately can leads to increased retention. Raising global awareness among your students does not happen by osmosis. You have to work hard to expose your students to multiple languages, cultures, geography, different customs and traditions.